Description: Gallery wrap means the canvas wraps around the support. This allows the artist to paint around the edges of the painting. This painting will not require a frame for hanging. This little painting was a fun one to do. At six inches by six inches it took me no time at all to complete. Sometimes I like doing small paintings like this one as they allow me to work on several art pieces in the same painting session. Often times you will find me working on a large size canvas and also have one of the small paintings going at the same time. 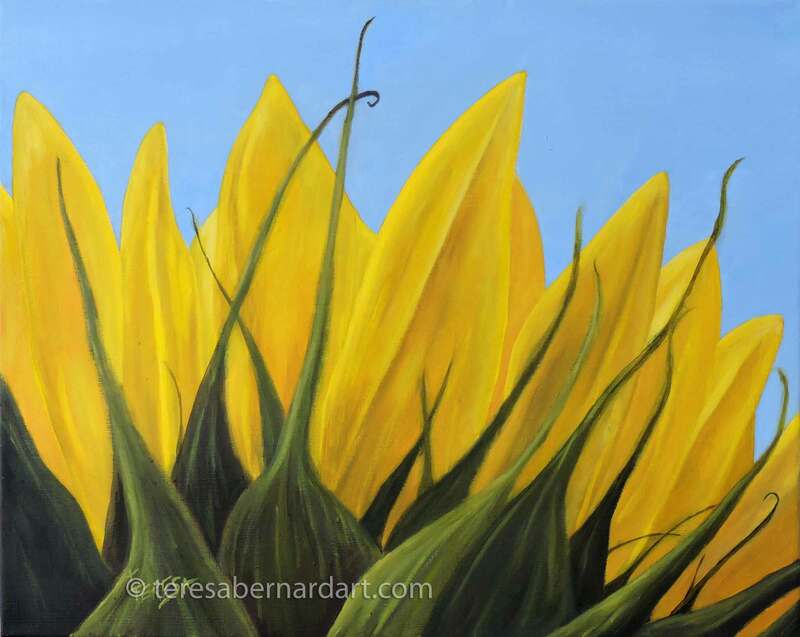 Description: Oil painting of a sunflower as seen from the backside of the blossom. Gallery wrap means this painting will not require a frame as the composition extends around the edges of the canvas surface. Artist Comments: I love all flowers, however, one of my favorite kind is the sunflower. I love the bright sunshine yellow petals and huge blossoms that resemble the sun. 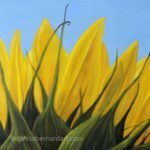 Most paintings of sunflowers are from the front of the blossom, however, the back side of some flowers can be just as interesting. The sunflower is a plant that is native to North America. Later it was introduced to Mexico and Peru. They can grow up to 6 feet tall and prefer dry, sunny places where their roots can dig deep into the soil. When the plant is in the bud stage, it will face the sun following its movement across the sky from horizon to horizon. This movement allows it to get the maximum amount of the sun’s rays. Once the flower is fully opened into the radiance of yellow petals, it faces east only. It is not known why it does this. One theory is it is possibly a defensive response to prevent the sun from scalding the seed pod during hot summer days. The sunflower is often equated as a symbol of spiritual faith, worship, adoration, loyalty and longevity. Perhaps because it is always seeking the “Light”. Getting started as a floral artist is easier than you know. All it takes is the desire to paint. The first thing you will need to do is enroll in some art classes that teach painting. It can be either oil or watercolor. It might take a little bit of searching to find a class but it will be worth it. Taking a painting class offers many benefits. The first being instruction in the “how to” of flower painting. You will have the advantage of being tutored by an experienced artist or multiple artists who can help you as your painting of flowers develops. The instructor can help you select the objects of your flower still life, arrange the set up and also develop the composition that is most pleasing. As you are working on your masterpiece, an instructor can offer suggestions on how to handle problem areas in the painting and also help you figure out how to paint other areas in it. Another advantage of taking an art class are the students. They can offer camaraderie, give ideas, and also give feed back. Every artist needs this feed back as it gives them an idea of where they are in their skill level. Knowing this bit of information is important when you are ready to sell your paintings. To get your flower oil painting started you will first need to set up your flower arrangement in a still life setting. This entails first selecting the flowers you wish to put into your painting. If you take a walk through your yard, neighborhood or local park, you will likely find a lot of flowers, providing it is the time of year when flowers are in bloom. Be sure to take your camera with you and snap a photograph of them to use as resource material. You could also purchase some flowers at your local supermarket or flower shop. The only problem with these is they will probably wilt and even die before your painting is finished. Therefore I suggest you photograph your arrangement once your floral still life is the way you like it. That way when your flowers fade you still have the photograph to use as reference material to finish your painting. For more information on using reference photos of flowers see articles titled “Using Photographs As Reference Material to Paint Flower Oil Paintings” and “Flower Oil Paintings From Reference Photos“. As part of your setting you may want to consider putting your flowers in a beautiful vase, add drapery and some other elements that hold special meaning for you. All of these added elements will complement your flower arrangement and make your painting one that you will enjoy for years. 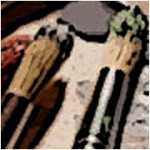 If you looking for unique and unusual items to include in your flower still life paintings, then there are a number of places you can rummage through to find props for your art. The first most obvious place is to look around your own home. Check your attic, basement, garage, and closets too. Anywhere you might store items you want to keep but don’t necessarily want to put on display for one reason or the other. Family heirlooms are usually hidden away in these places. These items make can great props for your paintings as they will bring back fond memories for family members who view your painting. Another place to look is local antique shops, garage sales and flea markets. You can find great props to include your flower still life paintings. Then once you are done using the prop you can display it in your home as part of the décor if you like. If as a floral artist, you’re waiting around to “get discovered”, you just might be waiting for a long, long time. Getting discovered doesn’t happen at the drop of a hat. Few artists are fortunate enough to be “found” and thus acquire fame. Most artists have to work to make that happen. Here are a few ways to get your art in front of the public. Display your art in local businesses and establishments. Enter your works of art in local and county art shows. Get a local gallery to show your art and have a private showing of your work. Have your own private showing and invite the public to come. For more information on how to sell your artwork, see article titled “Ways to Market Your Art“. Still life flower arrangement with a vase and other elements. This type of still life is great for formal dining area, living room, or bedroom. Just about any room where a formal atmosphere is desired. Natural landscape setting where flowers naturally grow in a garden or open field. Flowers make beautiful landscape paintings. Extreme close-up of the blossom in an expanded point of view. This type of composition gives the impression of the flower being looked at under a microscope. The most popular flowers used in compositions of floral wall art are roses, orchids, lilies and wildflowers. 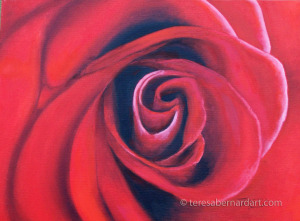 Roses are painted more than any other flower because they can be symbolic of love and romance. There are also many varieties of colors that make them an easy fit for any color scheme. Orchids are another favorite subject for artists to paint. They are so mysterious because no one knows just how many varieties of orchids actually exist. Orchids also have a such a large following that it was only natural that oil painters would choose them to be the subject of their many paintings. Another popular flower is the lily because of it has such a big beautiful bloom that comes in a variety of colors. Wildflowers are favored for their brilliance in the wilderness. There are many colors and shapes. Two favorite types of wildflower popular among Texas artists are the Texas Bluebonnet and Indian Paint Brush. Contrasting colors of wildflowers in the same setting makes for great art. Other popular flowers in art include daisies, tulips and magnolias. Flowers bring joy, beauty and symbolism to our environment, as such it is no mystery that flower paintings continue to be a popular décor for homes and businesses. 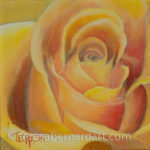 Be sure to visit this collection of flower oil paintings for sale. Since the dawn of time flowers have been admired by man for their beauty. The incredible attractiveness of flowers has also given them an added importance as decorative objects for residences and places of business. Through the centuries flowers have been used as the elements of floral canvas art as well. The first flower painting appeared on the walls of Egyptian tombs. The flower often depicted in these early paintings was the lotus blossom. The blossom can also be found in other art forms such as jewelry and architecture. Fresco paintings of flower gardens have been discovered in the remains of the buried Roman city of Pompeii. During the Gothic era, flowers were depicted in paintings as symbols of the personality or importance of particular people. Roses symbolized love, lilies depicted purity, the tulip represented nobility, sunflowers portrayed devotion. By the time of the Renaissance, flowers were used to amplify mythological subjects. In Dutch floral paintings flowers were also used to depicted the stages of human life. Modern artists have been using the significance of flowers in their floral canvas art for centuries. They have been cherished for more than just their beauty. The meaning of flowers has been used as an artistic expression of one’s emotions, whether it is a symbol of love, jealousy or romance. The meaning of a red rose is love. Is there any wonder why red roses are a favorite Valentine’s Day flower? A red carnation also conveys passion and at the same time a striped carnation is a sign of refusal. The lily depicts purity, tulips represent nobility, and sunflowers portray devotion. Flowers have inspired artists through the ages and have used their meaning to create breath taking beauty in their floral art compositions. Some famous paintings include Vincent van Gogh’s “Sunflowers” and Georgia O’Keefe’s “Red Poppy”. Flower paintings make perfect house warming gifts because just about everyone loves them. They are very versatile and make great additions to the décor in any room of your home or even in the waiting room of an office. They make great conversation pieces and provide a welcoming atmosphere for family, visitors or customers and clients. Flowers have long been a favorite subject for many oil painting artists. The many colors, forms and shapes of flowers offer an endless diverseness within the compositions of the old masters. This is why flowers are loved as a subject matter by artists. The world over artists have immortalized the beauty of flowers in their art. Some famous floral art includes Monet’s “Water Lillies” and Vincent Van Gogh’s “Sunflowers”. Monet was a French Impressionist of oil paintings. His paintings reflect the influence of light. His flower paintings are bright, colorful and distinctive and are among the most popular floral art for all time. Dutch post-Impressionist artist, Vincent van Gogh created some remarkable works of art. Among them are his famous still life paintings of sunflowers. These seem to have some special meaning for van Gogh because he painted eleven canvases with sunflowers. Other flowers van Gogh painted were irises, lilacs, roses and oleanders. Canvas oil paintings have been a popular form of home décor for centuries. A favorite subject of paintings is flowers. People from all walks of life love flowers and appreciate adding their beauty to the décor of their homes. 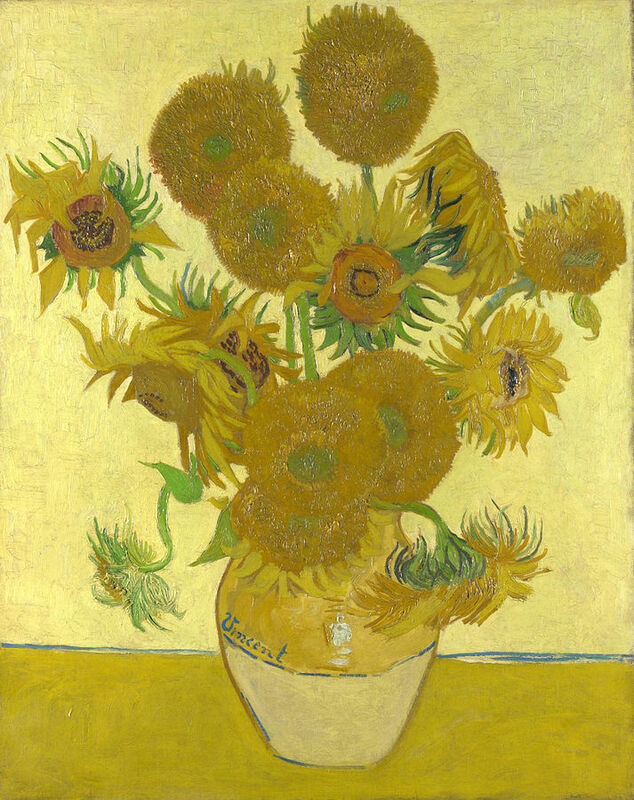 The most popular flowers often painted by artists as seen in many oil paintings include roses, hibiscus, sunflowers, orchids, poppies, lilies and wildflowers. A favorite setting for flowers is still life, where flowers are beautifully arranged in a vase of some sort. Many painting enthusiasts also love seeing flowers in their natural environment as seen in landscape paintings. If you have a desire to decorate the walls of your home with art, may I suggest flower paintings? They offer a wonderful solution to home decorating. However, before rushing out to buy just anything, you should keep a few things mind while you are shopping. 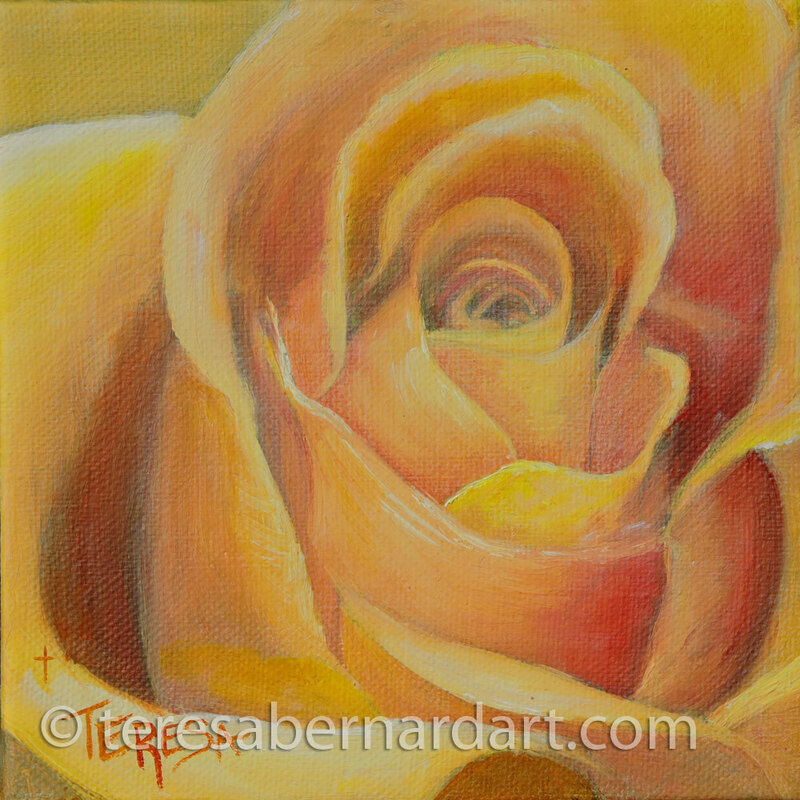 Your flower oil painting should complement the colors of your home and especially the room you plan to display it in. 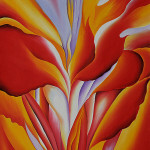 Flower paintings have a way of injecting some bold color into an empty space. You will also need to consider the space you want the painting to go in. Take measurements with of the walls where the paintings are to be hung and take these with you. The wrong size painting in your space won’t look right at all. Another consideration that you will need to keep in mind is lighting. It does no good displaying a beautiful piece of canvas art that won’t get noticed or admired. Proper lighting gives focus and attention to the painting being displayed. Flower paintings can also be great conversation starters whenever visitors drop in. They can either make statements about you and your tastes or can just be objects of beauty to appreciate. Lastly, paintings will appreciate in value as years go by but only if the artist becomes known. Make sure you buy a painting because you love it. 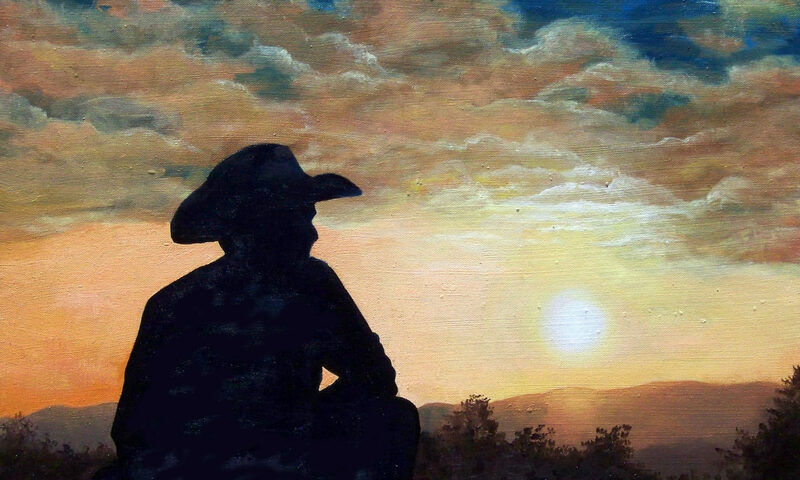 Paintings will bring you years of enjoyment, make it one you can’t live without. 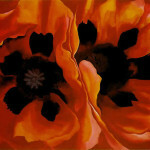 Flower paintings will also add a bit of romance to your home. If you are interested in creating a romantic atmosphere in any room of your home, consider the addition of some flower oil paintings for your walls. Floral canvas art is very versatile and works well in most rooms of your home. Paintings of roses, calla lilies, magnolias and grasses with contemporary appeal, or summer blossoms of zinnia, irises and daisies are just a few options that can become part of a romantic floral theme. Do a little research online for some floral artwork and you will quickly find some paintings that will suit what you need to turn a boring room into one with plenty of elegance. Bedrooms with floral canvas art on the wall helps to create the perfect romantic atmosphere. But that’s not the only place a flower painting helps spruce a boring room. Most people love flowers to a degree and flower art in your living room helps them to feel welcome in your home. Floral art works well in your dining room too. Oil paintings of flowers displayed in your dinning room add sophistication to the décor and helps to make the dinning experience a memorable one. Many art connoisseurs love oil paintings of flowers because they make lovely and elegant additions to adorn the walls of their homes with. Floral paintings brighten up any room with their color and bring the great outdoors inside. It’s like having a flower garden right there inside your home to enjoy. Their buds and blossoms possess such beautiful for the eye to behold. Flowers are one of Gods great creations for man to enjoy and great way to do that is with flower wall art. There is such a wide variety of flowers an artist can use to make wonderful paintings for your walls. Flowers such as roses, tulips, daisies, hibiscus, and magnolias, are all favorite types of flowers that are often used to make lovely paintings for the home and your family to enjoy. Floral canvas art can turn an otherwise drab, bare wall space into one that is filled with color and elegance. Flower art also takes a causal atmosphere in a room and makes it just a little more formal. As such many love to decorate their living rooms, dining rooms, studies, and bedrooms with floral art. Some even love having these paintings of flowers in their family rooms as well. Now that it has been established why flower paintings make such great additions to your home’s interior décor let’s talk about where you can find great works of art picturing flowers. If you have ever gone to an art opening at a local gallery or art show, you have probably seen some amazing flower oil paintings. Maybe you even wondered where you can purchase such paintings for your very own to hang on those empty walls in your home or office. There are many places where you can acquire some floral art for your home. One place is to visit the art studio of a local artist. 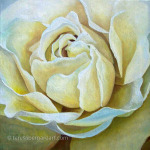 Floral art is very personal for the artist and no two flower paintings are alike. Where can you find flower wall art that is custom made just for you at an affordable price that will fit your budget? A good place to purchase such a painting is to buy directly from the artist. If you are lucky enough to find a new artist trying to find his/her place in the arena of fine art, you will find one who is eager to please and will do a good job for you. Not to mention the price will be more to your liking and easy on the wallet. Another place to look for some floral canvas art is on the internet.  There you can visit several art websites where artists showcase their works of art. You will be able to view several collections and compare different styles and paintings. While there you’ll be able to look through the paintings featured on each website and pick out something you like that is just right for your home. Best of all you won’t even have to leave your home to do this. By doing a simple search on “Google” using the keyword “flower oil painting” you will find any number websites of floral art that will suit both your taste and home decorating needs. Flowers make great subjects for oil paintings and some wonderful paintings of flowers can be created from photographs. Why would an artist even want to use reference photos to paint flowers from? You’d be surprised. One of the best reasons to paint flowers from photographs is artists can do it at their leisure. With reference photos, there simply is no reason to hurry. Photographs make it easy for an artist to paint flowers because the picture will “preserve” the beauty of such a fragile, quickly fading creation of God. Flowers don’t last forever and will usually die after only a few days. When this happens, artists then have go out and find another bouquet of the same kinds of flowers to recreate their arrangement with just so they can finish their paintings. By taking a picture of the arrangement when they have it arranged just like they want it, the artist can use it as reference material so their paintings can be finished without additional bother and at a time when it is convenient for the artist. Either one or more photos can be used to create a floral painting from. It is much better to create your arrangement using real flowers picked from your garden or purchased from a retail outlet and then photograph the arrangement. This will make a good source of reference material from which to create your painting from. Without this photograph once your flowers have faded away you loose your subject for the painting. Below are some tips for using resource photos to paint flower oil paintings. If you are an artist and desire to create flower oil paintings here are some great tips for you. Tip #1: Using photos as reference material to paint from is a great way to create floral wall art to display in your home or office. The flowers captured in your photos will never fade or die like fresh ones will. They can also be reused for future paintings. Tip #2: Try to gather or take multiple photographic pictures to work from. Each photograph should be from a different angle as this will make it easier to paint flowers in your arrangement pointing in several directions. Having your flowers facing several different directions creates more interest in your composition. Tip #3: Take a walk or visit a park where a flower garden is and observe flowers in their natural habitat. There is such a variety of flowers in nature. Notice how they grow up from the soil at different heights, blossom out at various stages from bud to full blossom and facing in all directions, ect. These observations will be a helpful aid as you paint a more realistic floral arrangement back at the studio. Tip #4: Before putting paintbrush to canvas, it would a good idea to sketch out your flower arrangement using your photographs as reference. This preliminary drawing will serve as a guide for you when you transfer your drawing to canvas. Tip #5: Refer to your photographs often to compare flower shapes and colors. Try to match as closely as you can to the flowers depicted in your photographs. This will make for a more successful painting. Once your painting is complete you will be able to sit back and enjoy the beauty of nature and at the same time be proud of your accomplishment. Friends and family will be proud of you too. 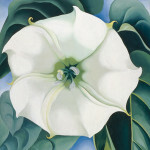 Georgia O’Keeffe was a modern day fine artist of flower oil paintings born in Wisconsin in 1887. She attended the Art Institute of Chicago in 1905-1906 and at the Art Students League, New York (1907–1908). During her art career she became one of Americans distinguished female artists. 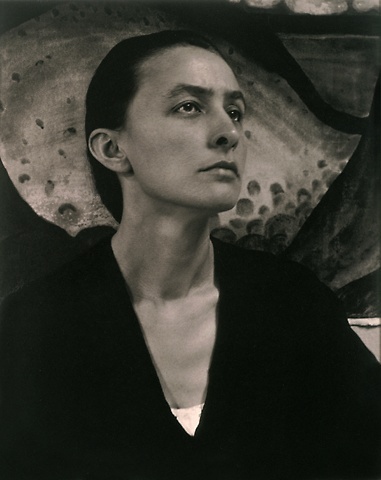 O’Keeffe revolutionized modern art with her paintings of nature and is generally recognized as the “Mother of American modernism”. Her favorite subject matter to paint on canvas was the flower and she seemed to like the calla lily, poppy, canna, iris, petunia and jimson weed the most when it came to flowers. 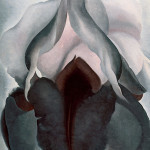 O’Keeffe frequently painted flora in large-format paintings with enlarged close up views of flower blossoms. This close up perspective gave the viewer a sense of looking at the blossom under magnification. 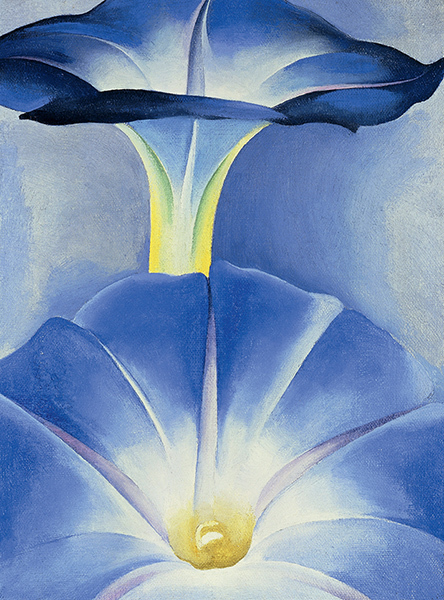 Georgia O’Keeffe chose this approach because she believed no one really looks at flowers. Her large-format paintings would require the viewer to take a real look at flowers. During her lifetime, Georgia O’Keeffee painted many flower paintings. Some of her more well-known floral masterpieces include “Black Iris”, “Blue Morning Glories”, “Jimson Weed”, “Oriental Poppies” and “Red Canna”. O’Keeffe’ famous irises were an important preoccupation for many years; she favored the black iris, which she could only find at certain New York florists for about two weeks each spring. The enlargements and abstractions derived from the flower have often been explained in gynecological terms, almost clinical in their precision. 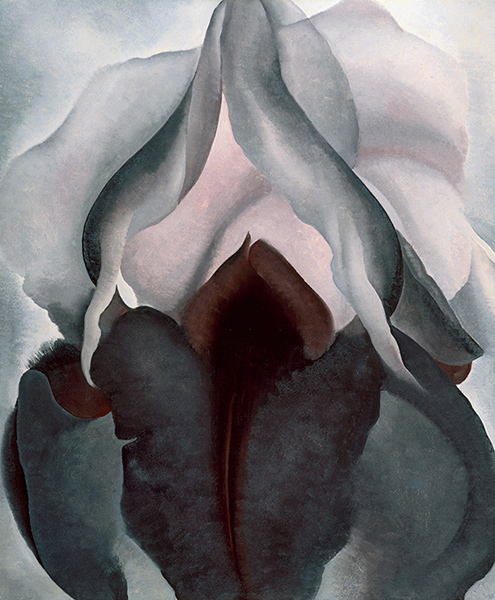 However, O’Keeffe rejected the notion of her flowers as sexual metaphors – this is something she feels is created by the viewer who applies his own associations to the works, not hers. 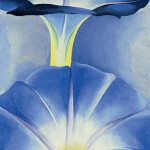 This oil painting features a close-up of blue morning glory flowers and is one of the most popular paintings by Georgia O’Keeffe. The colors are beautifully utilized, making the painting look very vivid and sharp. This painting is an example of the Precisionism style, for which O’Keeffe was quite popular for. The enlarged size of the flower depicted is eye catching and the colors are used are even more enchanting. 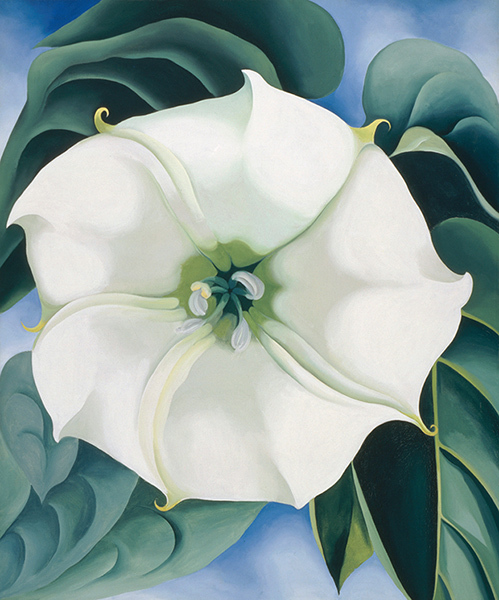 This oil painting depicts a large blossom of jimson weed, or datura and is part of a series of paintings O’Keeffe did of this plant. She was immensely fond of jimson weed and ignoring its toxicity, she allowed it to flourish around her patio. 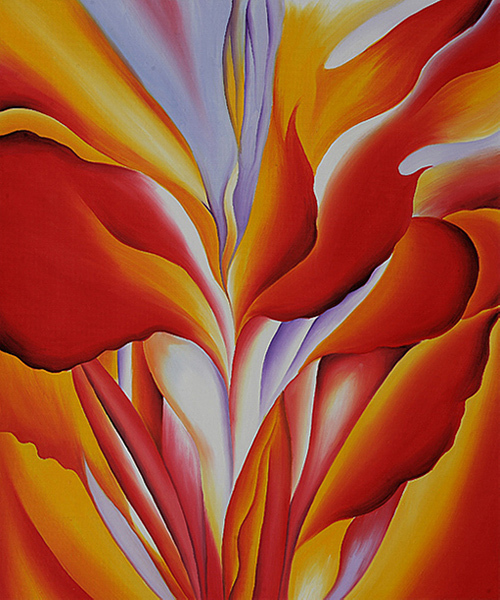 She paid tribute to the bloom in this painting, originally entitled Miracle Flower. 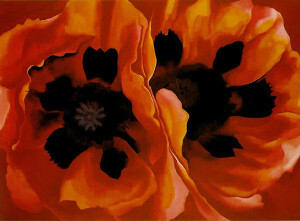 This painting depicts two giant poppy flowers. The original painting measures 30″ x 40″ and is an explosion of brilliant colors on a vast canvas, creating a mesmerizing effect. Dazzling reds and oranges were used as the main color of the petals with deep purple for center and the inner contours of the flowers. There is no background to this painting which artfully draws focus onto the flowers. This painting depicts a red canna flower. O’Keeffee composed it using abstract patterns derived from nature and depicted by means of restrained brushwork. The vivid and bright colors that were so beautifully chosen evoke an energetic and natural vitality, all the while, complementing each other in a unique way. One of the main features that make this painting really wonderful is the intense red and orange hues that subtly change into pearly whites. 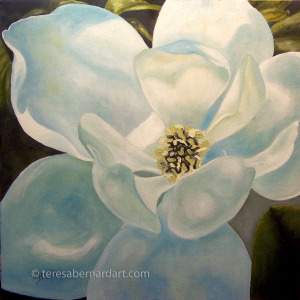 The flower paintings by Georgia O’Keeffee are a favorite of Teresa Bernard. If you enjoyed these floral paintings, you will want to check out more fine art paintings in this genre of art. 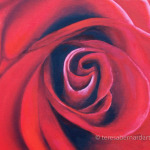 See Flower Oil Paintings by Teresa Bernard.